What is true… real… reliable? Each of us have our own criteria. The most universal criteria is “It feels correct.” This is not in itself wrong. We were designed (by God) to evaluate affectively and unconsciously, every bit as much or more than cognitively and consciously. Captain Kirk is better at making decisions than Mr. Spock… or HAL. However, for our feelings to work well, they do need to be well-trained. Healthy beliefs guide our “personal culture” that interprets experience and guides behavior. As these beliefs become internalized, they become part of our values— our affective part of our thought patterns. But, regardless, our feelings do fail us at times… so we need some good humility and feedback loops to challenge our decisions. I accept some things to be true because a person I respect espouses it. I accect some things as false because a person I do not respect espouses it. I agree with a person because they repeat what I already believe to be true. I disagree with a person because they challenge what I already believe to be true. I trust a person because I assume their motives are in line with my own. I distrust a person because I assume their motives are dissonant with my own. My children are into anime’ and computer games and such. They often talk about canonicity in story lines— what stories or games are considered to be canon to the created world they exist in, and what are not. What games involving Mario and Luigi (of all things) are part of an official story line, and what things were created with no formal connection to the rest. Once a canon is determined, one can analyze characters, causalities, relationships, and timelines. Without a canon that is external to the individual, there is just a pooling of opinions. The role of Canon in one’s faith life and lived life is huge in my opinion. Reformed theologians classically embrace “Soli Scriptorum” (Scripture only… or at least Primacy of Scripture). I can see value in that. One starts from an accepted cononical scripture, and deduces theological principles. But the other direction is at least as important. That is that Scripture, as canon, provides the criteria to test against. Properly speaking Canonicity needs to push in both directions. Beliefs should be drawn from the whole of Scripture, and then the veracity of other truth claims. I find it interesting that many Christians complain about post-modern thought— subjectivity (or at least inter-subjectivity) over objectivity. Yet many of these same Christians commonly utilize themselves as the standard for truth. Then they find Biblical passages to support their own opinions. That process is backwards. 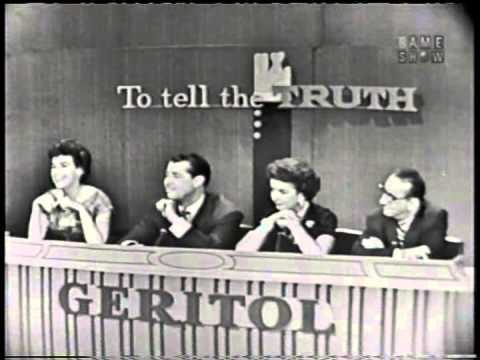 When I was young, a TV show I liked to watch was called “To Tell the Truth.” One person with an interesting job or story would be joined with others to talk to a board of celebrity panelists. The goal of the panelists iwas to determine who is telling the truth and who is lying. The goal of the contestants is to all talk as if, and answer questions as if, they they are the person being presented. Fooling the panelists would put money in the pockets of the contestants. My understanding is that they have revived this show in the US, but I haven’t seen it since I am now in Asia. The goal in the show, really, is not to lie but to deceive. Fooling the panelists is the aim, regardless of whether one uses lies or truth or half-truths or deceptive language. Lies are a rather complicated thing. When young we are told that lying is telling something that isn’t true. But most jokes, parables, hypothetical problems, and such are, strictly speaking, not true (not based on reality or fact). We then learn that lying has as much to do with motive as fact. That’s why the key concept is “bearing false witness”— speaking falsehood to circumvent justice or promote corruption. LIes and deception get more confusing when filtered through culture. When I was in the Navy, we had a huge amount of evaluation inflation. So if I wrote about one of my men in the division, “He is a very hard worker and deserves a promotion”— that was actually a slam. I wanted him out of my division. If he really WAS a very good worker I would say something like, “This many is top-notch, the best in my division and certainly one of the best in his rate anywhere in the Navy. He should be immediately promoted.” Something like that (I am out of practice). In the first sentence above where I described the person above as a hard worker, I was not lying. That is because meaning is always filtered through culture. BUPERS was able to clearly interpret what I was writing without confusion. I was using truthful language withing the culture of Naval evaluation language. I recall getting a bad evaluation in the Navy. It said I was smart, capable, hard-charging officer, and certain in the top 15% of other officers of my rank in the Navy. That was a very negative evaluation— and I knew it because I was very familiar with the language of evaluations. But because the words actually sound nice, it makes the negative message feel better. The evaluation could have said, “Bob is a dirtbag and should be dumped out of the Navy at the first opportunity, ” that the wording in the eval sounds much nicer. Cultures often provide a more pleasant way to say unpleasant things. These subtleties are often lost on Westerners… but, truthfully, everyone does it. In Osoba O. Otaigbe’s book “Building Cultural Intelligence in Church and Ministry” there is an interesting help that was given to immigrants or foreign workers who were living in England. The guide was meant to help the people understand what the British mean when they say some things. Here are some of the helps. This is not strictly a British thing. It is pretty clear that language is filtered through culture and context. As such, where meaning is accurately transmitted from one person to another in one setting, may very much deceive in another. In missions, meaning matters. Meaning is found in sentences not words, and in context, not in a “vaccuum.” This is one of the many reasons that effective communication is so difficult on the field. Unlike the show “To Tell the Truth,” our goal is not to deceive but to inform and enlighten. But it is easy in the mission field to confuse and deceive by telling the truth while not understanding the context. 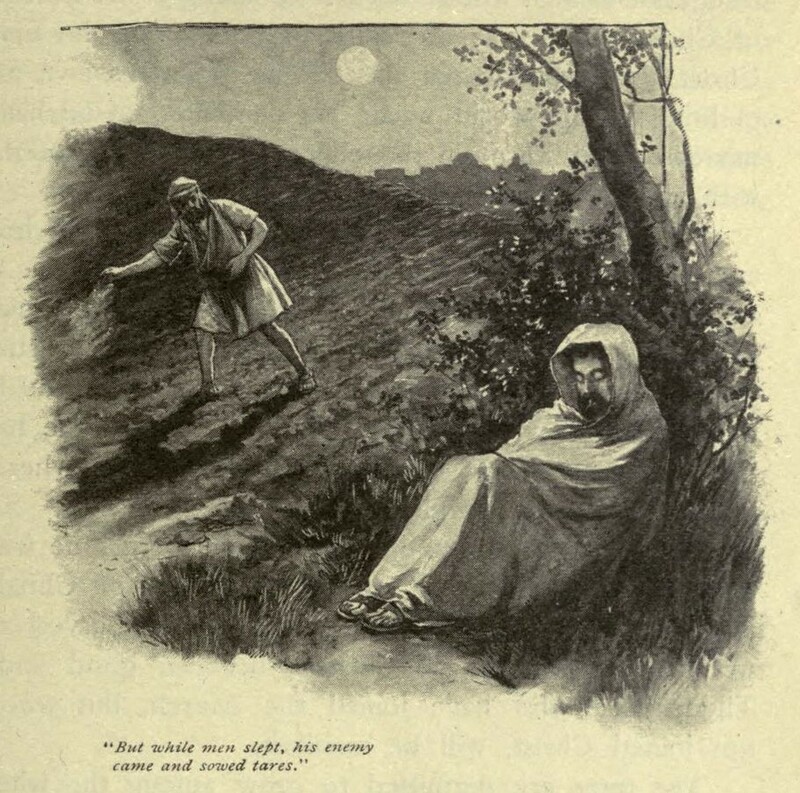 Matthew 13 is an interesting chapter and is a place where the Parable of the Sower is given. However, in the same chapter are two more sowers. They are described in the Parable of the Wheat and the Tares. 1. The chapter gives us good reason for caution in “locking in” meanings for symbols. In Matthew 13, seeds have three different meanings depending on the parable. Arguably, there are four meanings, since there are two different seeds in one of the parables. Likewise, there is more than one meaning for sower as well. This is imporant to remember since there is a temptation to find consistent symbolic meanings in the Bible. One only has to look at so-called “Christian Numerology” to find those who think that numbers must have a symbolic meaning and that meaning must be consistent throughout the Bible (and sometimes even beyond). An awful lot of bad theology comes out of this idea. I recall a preacher noting the uses of symbols in Matthew 13. He suggested that the birds in the Bible are consistently symbols of evil, so in the Parable of the Mustard Seed, the “REAL” message is that over time, the Kingdom of God would become more and more evil. However, if one rejects a consistent use of symbols the more obvious understanding is that the Kingdom of God will start small and insignificantly, but will continue to grow and spread and become too big to ignore. I also recall another (same?) preacher stating that yeast is always a symbol of sin in the Bible. Therefore, the Kingdom of God is really the flour in which sin becomes introduced and then grows/expands. I can see why some commentators might prefer that understanding. Since seeds (wheat berries) were earlier described as being linked to the righteous in the same chapter, then flour could be linked to Christians (or technically speaking, ground up Christians). For some, I suppose, it may also be less troubling to see the woman as being linked with Satan (or a Lilith character) rather than with God. Some get bothered by feminine imagery of God. But, again, if one rejects consistent symbols, the more likely understanding is that the yeast is the kingdom of God, the flour is the world, and the kingdom starts out small and insignificant but interspersed in the world, it begins to grow and transform the world. 2. One must be careful to avoid reading too much into parables. While the “one parable, one message” view may be too restricting, it is often tempting to take the parable off onto tangents that they were never meant to go. For example, Who can be saved based on the Parable of the Sower and the Parable of the Wheat and Tares? In the latter of these two, it seems as if one is born saved and another is born unsaved. A somewhat hyper-Calvinistic view may be seen as described here. There is no suggestion that tares can become wheat. An obvious problem here, however, is that if one applies this understanding consistently, then mankind is essentially two species (“wheat” or “darnel/tares”) with one being created by God, and the other being created by Satan. It does not seem likely that Jesus is suggesting that Satan is a literal Creator of humans. In contrast to this extreme, one might address the other extreme in the Two Ways. 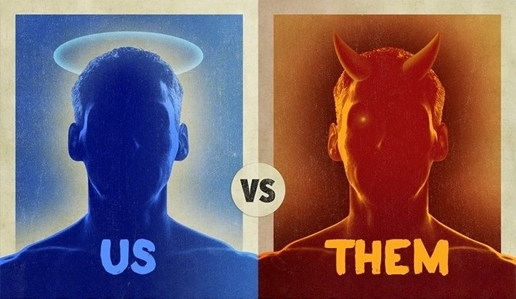 In it, humans are one “species” with a choice between a narrow and a wide path. One might take this as an extreme Arminian viewpoint. God makes the paths and people decide which path to follow. But then if one takes those two parables as describing two extremes, a more mediated view might be argued from the Parable of the Sower. The message of God’s Word is given to all. People may be different types of soils with no suggestion of being two unrelated species. There appears to be God’s initating work of salvation, and man’s response. Still there is uncertainty about the details of the process. The Bible seems to generally not give a lot of clear information on the mechanism or process, so this parable appears to me to best reflect a sound, if uncertain, soteriology. That being said, none of these parables are really about the process of salvation. 3. Parables are both described as making truths clearer, and also disguising truth. Matthew 13 tries to describe some very complicated relationships such as the word of God to mankind, and the Kingdom of God to the world. As such, parables can be quite helpful— connecting the abstract to the concrete. However, there is a temptation to read one’s own theology into the story. Additionally, one needs cues to know how to understand the symbols. Both the Parable of the Wheat and Tares and the Parable of the Sowe are interpreted directly by Jesus. In some cases, this does not happen, so it is understandable that so many bizarre interpretations occur. Thus one needs to look at the broader themes within the Gospel text, as well as see what the listed purpose of the story is.